Nokia 3310 will come in a 2.40 inch display screen with a resolution of 240 X 320 pixels. It is also equipped with a smart keypad. The new look of this phone is quite different as compared to other keypad models. 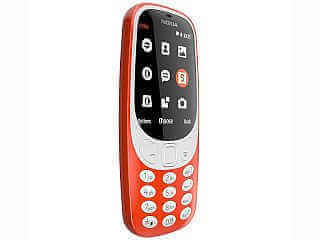 The Nokia 3310 has a battery talk time of upto 22.1 hours and a standby time of 25.3 days. It is equipped with a 1200mAh. It does not have a front camera, but will come with a primary camera of 2MP with LED flash. The new Nokia 3310 will be available in Red, Yellow, Dark Blue and Grey colors. Nokia has said that this mobile will be available for offline purchase only. Hence, you will not see a new Nokia 3310 model in eCommerce stores. The Nokia 3310 is manufactured by HMD Global.